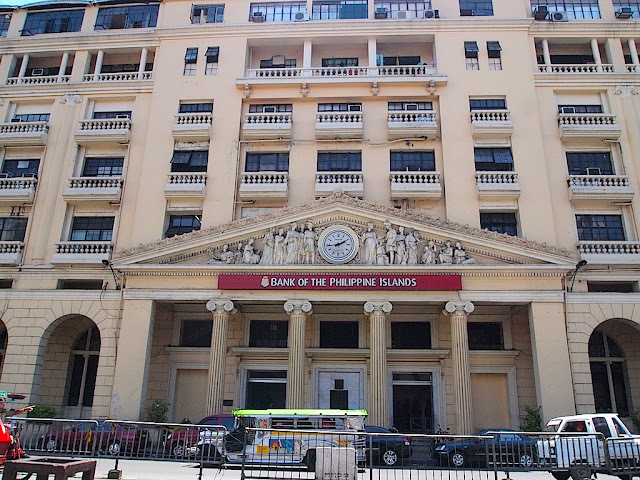 Banco de las Islas Filipinas, or presently, the Bank of the Philippine Islands, was the second bank to be established in the Philippines, and is currently the oldest in Southeast Asia. Originally called El Banco Espanol Filipino de Isabel II, the bank was the first to print the Philippine currency, in 1851 . 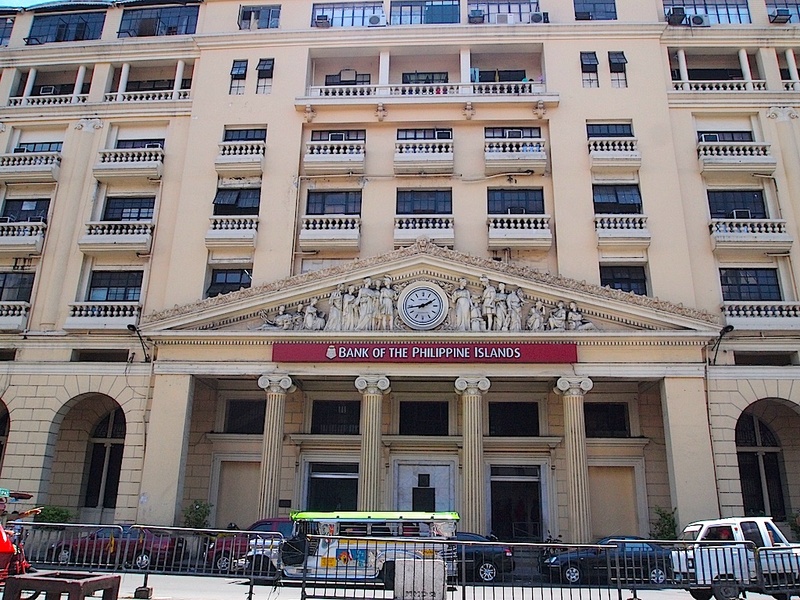 The neo-Classical building above, named Roman Santos building , houses the bank's branch in Escolta, which was Manila's main business street in pre-war times. The building, built in 1938, previously hosted Monte de Piedad, a bank founded by a Franciscan friar. The district also hosts a number of old Art Deco and neo-classical buildings. It is accessible via the LRT Line 1, at the Carriedo stop.